Tenor saxophonist Dave O’Higgins is a popular and well-known figure on the international jazz scene, having recorded 13 albums as leader with various line-ups. Whilst still studying at City University, he started his own jazz quartet and began gigging with John Dankworth & Cleo Laine and Icelandic jazz-funk band, Mezzoforte, and went on to work with Jim Mullen, Ray Charles, Martin Taylor, Itchy Fingers, Frank Sinatra, Salif Keita, Jamie Cullum, Stan Tracey, and Matthew Herbert to name only a few. 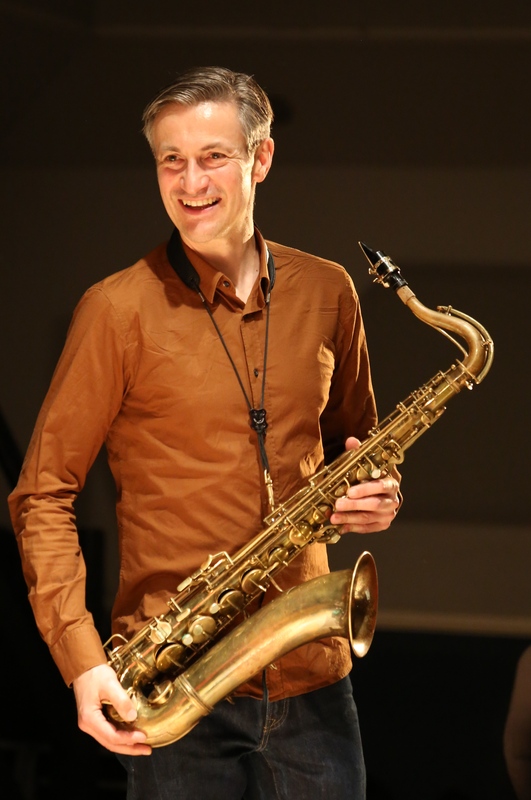 Dave can also be heard with his quartet, leading a 2-tenor roar up band with New York colossus, Eric Alexander, as a regular guest with the Ronnie Scotts Allstars, the BBC Big Band, and an integral part of the Brubecks Play Brubeck quartet. Dave has twice won Best Tenor Sax at the British Jazz Awards.